No elections, Kadima joins government: In a dramatic move, the Likud and Kadima parties agreed on a unity government early Tuesday, averting the prospect of early elections. Prime Minister Benjamin Netanyahu and Kadima Chairman Shaul Mofaz finalized the surprising unity agreement hours before the Knesset was expected to approve its own dissolution and set September 4th as the date of the next elections. PM Netanyahu announced that Kadima’s Mofaz will be appointed deputy PM and minister without portfolio, while also being included in Israel’s security cabinet. 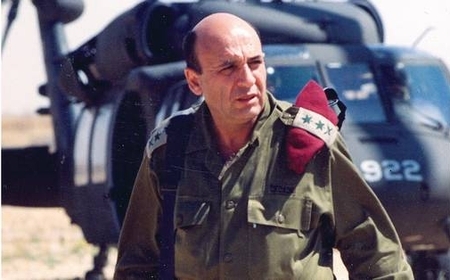 Shaul Mofaz, born in Tehran, came to Israel in 1957 and participated in all of Israel’s wars since 1967 (including the Entebbe raid). As chief of staff from 1998-2002 he was noted for the tough response to the Second Intifada, Operation Defensive Shield, in which Israel pacified Judea/Samaria. He recently defeated Tzipi Livni for the leadership of Kadima, the party which currently holds the largest number of seats in the Knesset (28), one more than Netanyahu’s Likud. In the normal course of events elections would have been held in 2013. Netanyahu called for early elections to be held this September for multiple reasons. One of them may be that he doesn’t want a repeat of the election of 1999, when he lost a close race for a second term to Labor’s Ehud Barak, who received overt and covert support from the Clinton Administration. By getting the elections out of the way when the Obama Administration will be busy with its own election, Netanyahu would then be in a stronger position to face a hostile second-term Obama, should he be reelected. But both Netanyahu and Mofaz (whose Kadima party is polling very, very poorly) are beginning to worry about the rise of a “non-ideological” party led by Yair Lapid, a former TV news anchor. The present coalition is also struggling to find an acceptable solution to the issue of military service for Haredim (“ultra-Orthodox” Jews); the new coalition agreement stipulates that a bill on this subject will be presented shortly. There are also agreements on budgetary issues. Finally, I think Netanyahu would like to add Mofaz, with his considerable military expertise, to the Security Cabinet. Is there a connection to a possible strike on Iran? It seems that if there is to be such a strike, it will be before the US elections, while Obama is constrained from acting strongly against Israel. A unity government, which would give Netanyahu a massive 96 Knesset seats out of 120, would certainly clear the decks for action. New elections in September, on the other hand, carry a burden of uncertainty, even though Netanyahu’s Likud party is leading by a large amount in the polls. In any event they would be disruptive. Mofaz has made public statements that Israel should let the US take the lead in dealing with Iran. But he has not been as aggressive in his criticism of the PM and Defense Minister’s purported plans as, for example, former Mossad head Meir Dagan and former Shabak boss Yuval Diskin. The problem for Israel, then, is not only — as Defense Minister Ehud Barak has warned — that Iran might reach a “zone of [physical] immunity” in which its nuclear facilities are sufficiently hardened that an Israeli attack would not be effective. There is also a zone of political immunity which would be created by Yadlin and Guzansky’s “bad deal,” one which will remove support from Israel without ending the Iranian nuclear threat. One can’t minimize the importance of the domestic political considerations behind the decision to form a unity government and cancel early elections. On the other hand, I think that the development makes it more likely that Israel will bomb Iranian nuclear facilities before November 6, 2012. Read a really good discussion of the winners and losers at the Muqata, here. And more from Caroline Glick, here. Another excellent article that explains the somewhat Byzantine considerations of domestic politics in Israel is at Zion Square, here. This entry was posted on Monday, May 7th, 2012 at 9:32 pm and is filed under General. You can follow any responses to this entry through the RSS 2.0 feed. Both comments and pings are currently closed. The Prime Minister made a brilliant political move which not simply guarantees that his government will serve a full term, but gives it new strength and opportunities for action. Shaul Mofaz saved himself and his party from a humiliating election defeat and the end of the road. It is good deal for both but more importantly it is very likely a good deal for Israel. Much needed Election reform may be on the way. Also the problem of Haredi national service may be addressed in a more fair way. There is also here , should the Palestinians really be interested in it, an opportunity for negotiations for some kind of Peace agreement. As for Iran this agreement only strengthens Israel’s position. Mofaz is another responsible moderate voice. And a strong broad- coalition government will have a stronger mandate to act should it judge it necessary to do so.